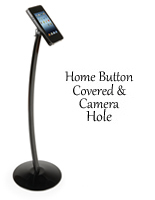 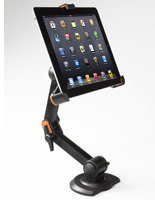 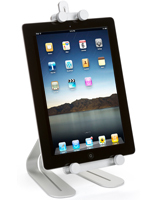 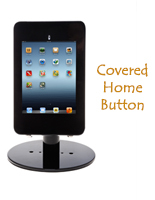 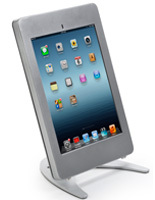 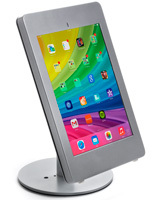 Deep Discount Tablet Holders, Mounts & Stands On Sale at Lowest Prices Available! 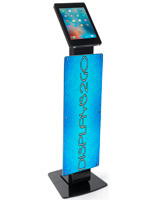 Looking for the lowest price discount tablet display stands to reduce sales equipment spending without sacrificing quality? 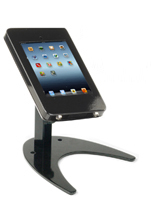 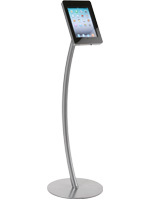 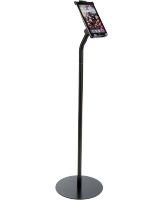 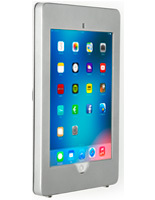 iPadHolders2go.com is constantly sourcing and stocking new models and styles, which means that we are always rotating inventory to ensure top and new iPad and Android device fixtures, mounts, and kiosks are in-stock for fast shipping. 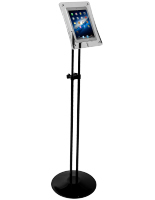 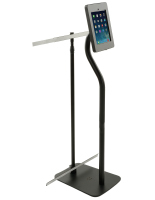 Overstock and clearance sales allow us to offer the lowest price discount tablet display stands for commercial and business use. 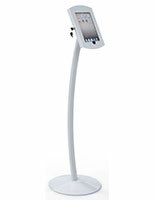 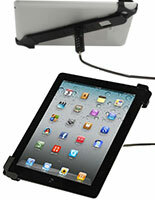 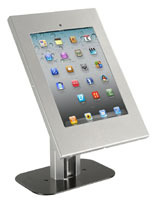 These new, top quality marketing and point of sale digital accessories are offered at reduced pricing for quick sale. Overstocked models run the full range of styles, and can include secure handheld cases with locking cables, countertop and wall mounts, and freestanding kiosks. 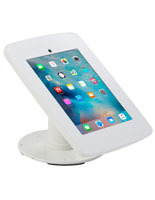 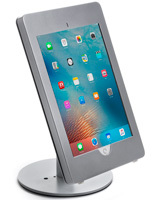 These new, lowest price discount tablet display stands, also known as clearance price Apple and Android device enclosures, accomodate various handheld tablet models and makes as indicated in the product descriptions. 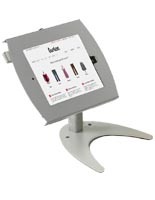 Ordering from our overstock and clearance sale section can help businesses expand their digital and interactive merchandising program and increase sales engagement in commercial, retail, manufacturing, and educational environments. 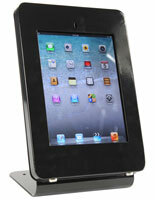 What styles of clearance price Apple and Android device enclosures are available? 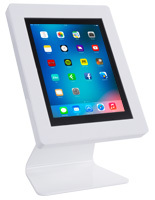 Our lowest price discount tablet display stands for countertop displays include simple handheld cases with integrated cable locks, portable counter holders, and fixed mounts for tabletop installation. 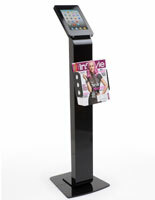 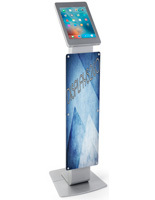 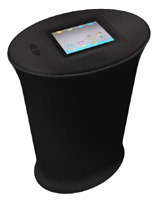 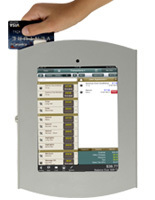 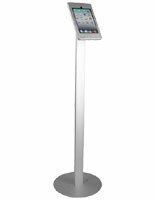 Low priced freestanding iPad kiosks are designed for use as interactive information stations or interactive customer service fixtures as well as point of sale checkout fixtures. 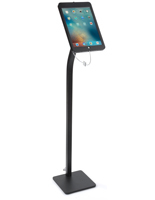 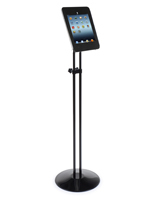 Built-in cable management, integrated power strips, and heavy duty security features make these discount price tablet display stands a great choice for retail stores, organizations, manufacturing environments and even trade shows. 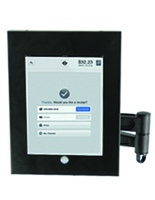 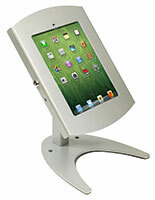 Wall mounted interactive touchscreen holders on sale can be permanently installed in a variety of locations. 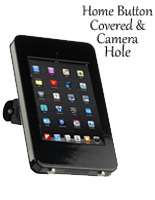 This type of high-visibility enclosures are a great choice for saving space in public environments without sacrificing security or information accessibility. 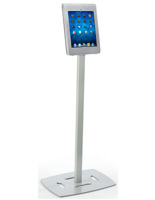 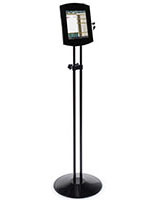 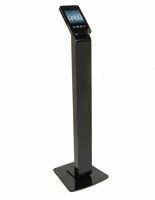 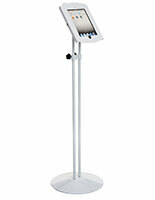 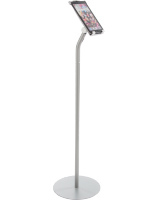 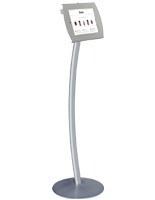 Shopping tablet display stands on sale allows businesses in any industry to easily add to, replace, or create interactive stations for use by customers, visitors, employees, or any combination thereof. 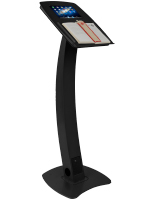 These top quality commercial fixtures are easily configured to meet digital and interactive advertising, sales, and information display needs in retail, manufacturing, hospitality, medical, and school environments. 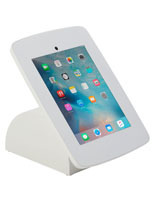 Browse our wide selection of overstock and clearance enclosures for Apple and Android devices today!